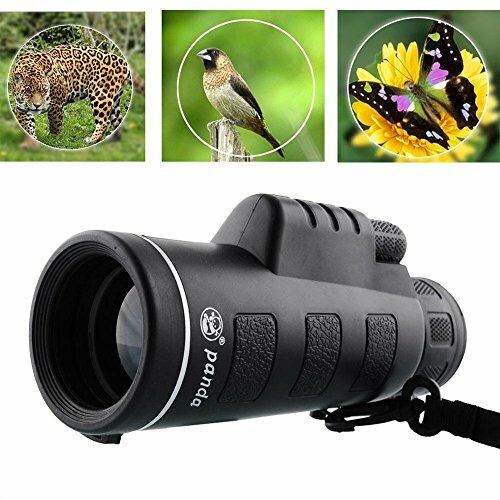 Brand new and high quality monocular telescope. Made of high quality material. 40x60 Low Light Level Night Vision Optics Zoom Lens Camping Monocular Telescope. Super clear, super light transmittance lens, zoom function make watching better. Suitable for enjoy beautiful nature, view birds, watch sorts, general purpose. 1. Please do not look directly at the sun through a telescope, otherwise it will hurt your eyes. 2. Not use in the water. 3. Forbidden to clean the inner parts of the monocular or disassembly the monocular. 4. This item can work in a dimly night, but, it cannot work in a very dark night, pls kindly note it before purchase. Thanks!